Skin specialists recommend moisturising on a daily basis. Multani Mitti or Fuller’s earth is an excellent cleanser for oily skin. Cucumber lotion helps removing sun tan and rejuvenating the skin. Rosewater and lemon juice are excellent toners. Oily skin does not only have unwanted sheen but is severely prone to pimples and blackheads. The causes of greasy skin can range from genetics to high intake of oily food . Even though you cannot completely control all the causes of oily skin, you can surely take measures to get rid of excess oil. Experts recommend that you resort to natural methods to treat oily skin instead of undergoing cosmetic procedures. Listed below are some home remedies for oily skin that do not cause any side-effect and also, do not require you to burn your pocket at a skin clinic. Multani Mitti or Fuller’s earth is an excellent cleanser for oily skin. Even though it absorbs excess oil from your skin, it leaves it dry and rough. To treat this, you may use honey. Honey is a light moisturiser, which naturally nourishes the skin and is better than any cosmetic moisturiser. Mix a spoon or two of honey in a bowl of multani mitti and apply the paste once in every two days to get rid of oily skin. Cut a lemon into half. Take half of the lemon and softly rub it on your skin. 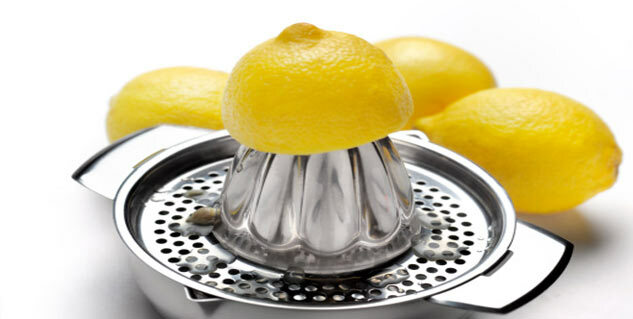 Lemon helps to remove excess oil from the skin and aids in prevention of outbreak of blackheads. If lemon irritates your skin, you may add half teaspoon of rosewater in the lemon juice. Apply it on your skin and let it dry for 20 minutes. Wipe your face with a wet cotton ball once the juice has dried. Rosewater and lemon juice have antimicrobial properties and are excellent toners and cleansers, thus both are considered as best antidotes for skin conditions. Grate ¼ of a cucumber and extract its juice. Add ½ teaspoon of lemon juice and rosewater into the juice. Apply it on your face and wash after 30 minutes. Cucumber moisturises the skin and soothes overactive oil glands. Cucumber lotion for oily skin also helps in removing sun tan and rejuvenating the skin. Milk is an effective remedy for removing extra oil from the skin without leaving it dry and rough. You may apply milk alone on your face to control greasiness. Scrub your skin and then wash it off with cool water. Another way of applying milk to your oily skin is by adding a few drops of lavender essential oil into it. This will make milk more effective in fighting against production of excess oil. Moisturising surely does not work on an oily skin or so is rather assumed, but skin specialists recommend moisturising on a daily basis. This is because the under moisturised skin would otherwise produce excess oil to compensate for the lack of nourishment a moisturiser provides. Use a light moisturiser made especially for oily skin and apply it after you have thoroughly cleansed your skin. Instead of scrubbing your face, cleanse it twice a day. Follow any one of the aforementioned home remedies for greasy skin to fulfill your heartiest desire to have a rejuvenated, beautiful and attractive skin. Read more articles on Home Remedies for Skin.